A series of autobiographical short stories by Ruth McKinney was turned into a play, a movie-non-musical, a Broadway musical (Wonderful Town), and the 1955 movie starring Betty Garrett and Janet Leigh. But who cares about the girls – the reason to watch this movie is the dancing! Specifically the challenge dance done by Tommy Rall and Bob Fosse! The story is about two midwestern girls moving to the big city – what more do you need to know? BOB FOSSE! You know how TV shows like Law & Order are called crime procedurals? 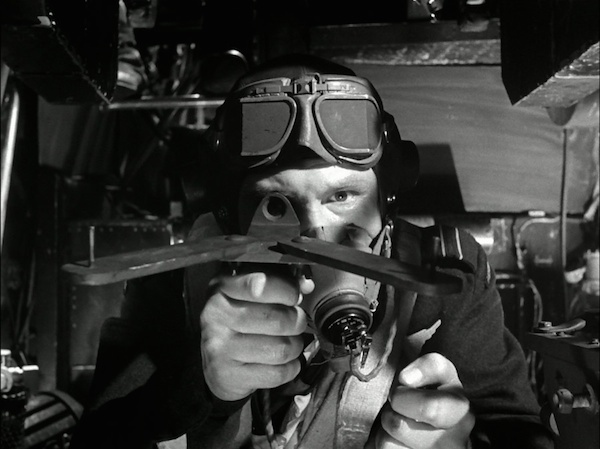 Well, The Dam Busters is kind of a war procedural. The film tells the true story about how the British managed to attack German dams during WWII, from “hey, I have an impossible task,” to “hey, I’m a scientist and I have an idea” to “HEY, LET’S GO BOMB NAZIS.” Keen viewers will catch that Star Wars borrowed a lot of the starfighter action scenes from this movie, right down to flying low down a trench in order to thread a proverbial needle with a bomb. The film is smart and exciting and definitely worth tracking down. Bonus points for containing Michael Redgrave. There has been talk for about the past 10 years of a remake of The Dam Busters, one change that is happening is the black Labrador dog will be renamed. Yeah, that dog’s name is a problem. They’re damned if they change it, and damned if they don’t. I read somewhere that Stephen Fry was advocating changing the dog’s name to “Nigsy”, which is both a common nickname for similarly-named dogs from that era and also a dodge around the perilous epithet. Maybe that’s the way to go.